Kartik Aaryan recently interacted with the media on the sidelines of a People for Ethical Treatment of Animals (PETA) event on Friday, where he was asked for his responses to the accusation of harassment against Rajkumar Hirani. Kartik neatly dodged the question and said that he is a huge fan of Mr Hirani's work and that he "cannot comment till the time anything is proven legally," reports news agency IANS. "We all have been fans of his work. I think till the time it is legally proven by the court of law, we can't comment about it." IANS quoted Kartik as saying. The Sonu Ke Titu Ki Sweety actor added, "I think there has to be a proper legal route to investigate the matter but it's sad if such cases are happening not just in our industry but also in some other industry. I am totally against it." 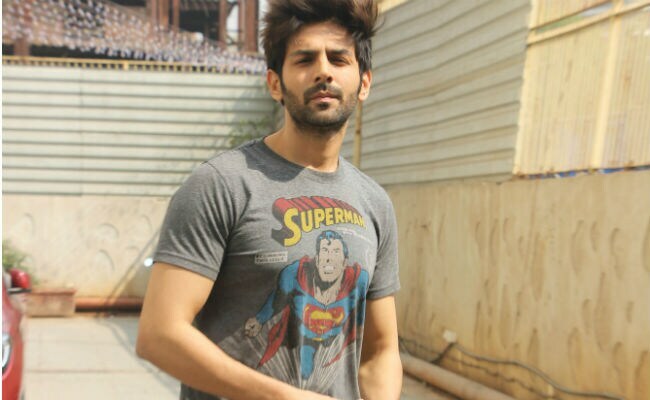 Kartik Aaryan might have refrained from commenting on the accusation of harassment against Rajkumar Hirani but several Bollywood personalities including Javed Akhtar, Boney Kapoor, Sharman Joshi, Dia Mirza and Arshad Warsi have extended their support to the filmmaker. In his tweet, veteran lyricist Javed Akhtar listed Mr Hirani as "one of the most decent persons" in the film industry. I had come to the film industry in 1965. After so many years if I am asked who are the most decent people you met in this industry over almost 5 decades, perhaps the first name that will come to my mind is RAJU HIRANI. G.B Shaw has said . " it is too dangerous to be too good"
Sharman Joshi, who was a part of Mr Hirani's 2009 film 3 Idiots shared an extensive note on Twitter, defending the director. He signed off the note with the hashtag "#IStandForRajuHirani." Mr Hirani was implicated in sexual harassment allegations in a #MeToo account by a co-worker at his production house Rajkumar Hirani Films Private Limited. In her #MeToo account, the unnamed woman alleged that the director abused her over a period of six months, during the shooting of his last directorial project Sanju and told Huffington Post: "I had no choice but to be polite to him. I was worried that if I left midway, it would be impossible to find another job in this industry if he were to speak badly about my work," the woman said. Because if Hirani said I wasn't good, everybody would listen." All the allegations levelled against him were denied by Mr Hirani in a statement which he issued on Sunday. 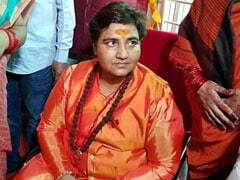 "I was completely shocked when these allegations were brought to my notice about two months back. I had suggested immediately that it is essential to take this matter to any committee or any legal body. The complainant has chosen to go to the media instead. I want to very strongly state that this is a false, malicious and mischievous story being spread with the sole intention of destroying my reputation," read his statement. Apart from Rajkumar Hirani, several Bollywood personalities including Nana Patekar, Alok Nath, Vikas Bahl, Sajid Khan, Subhash Ghai and poet-lyricist Vairamuthu were called out as sexual predators in several #MeToo accounts. Several women from the film industry shared their #MeToo accounts after Tanushee Dutta resurrected a decade-old charge of sexual harassment against actor Nana Patekar last year, which triggered the #MeToo movement in India.